Hola loves! 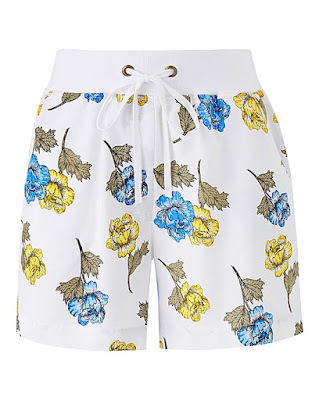 The dog days of summer are here, so I rounded up a group of shorts to keep you cool and comfortable. 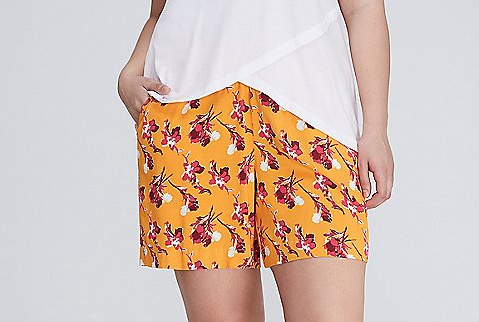 Instead of wearing traditional denim shorts, try a printed soft short made from a lightweight fabric. 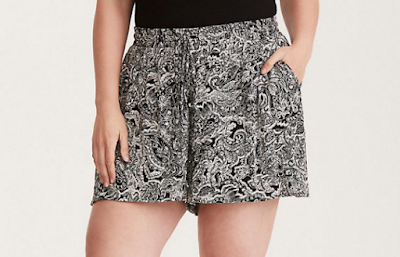 The pair I’m wearing here is called the Fast Lane Printed Soft Short with Crochet, courtesy of Lane Bryant. I like the fun pattern, soft fabric, and crochet trim. 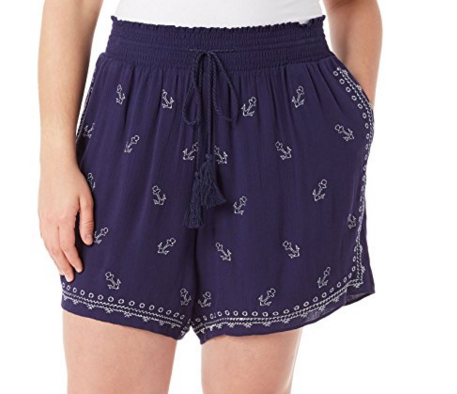 Though the shorts wrinkle easily, they are hella comfortable for wearing all day long. I'm also able to make them high waisted because of elastic waistband with drawstring. How cute are these tassels, by the way? Love little details like that. 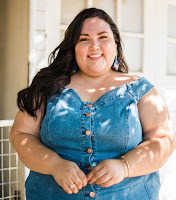 Here are more of my top picks to get you through the summer heat! These are really cute! :) Great choices! Thank you, Amanda! 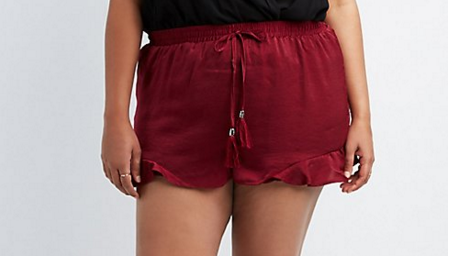 Love all this shorts. Thanks for sharing! 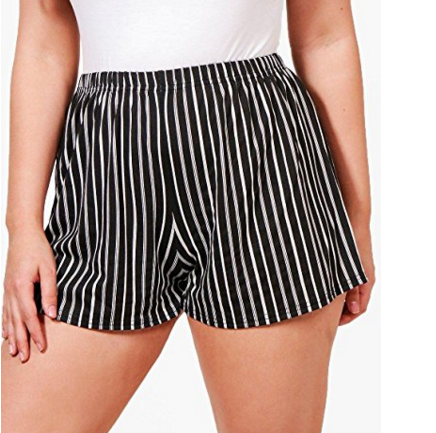 I don't wear shorts but these look amazing on you! Loving all of these options!! 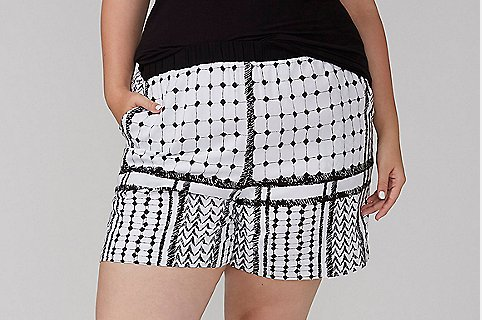 Loving the shorts!!! I'm crazy about black and white. Ill take one of each please!!! LB shorts are soo comfy!! 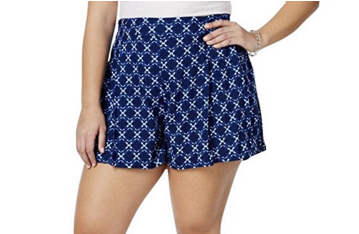 I need to stock on shorts now because in a couple months won't be able to wear them anymore. 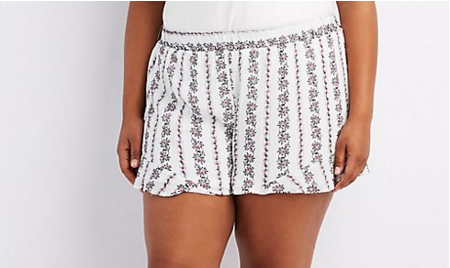 These shorts look really comfy and super cute!